Furtography invites you to take a peek into the Enchanted Forest. Limited Edition Fundraising sessions for 2017. Step one: Book your session. 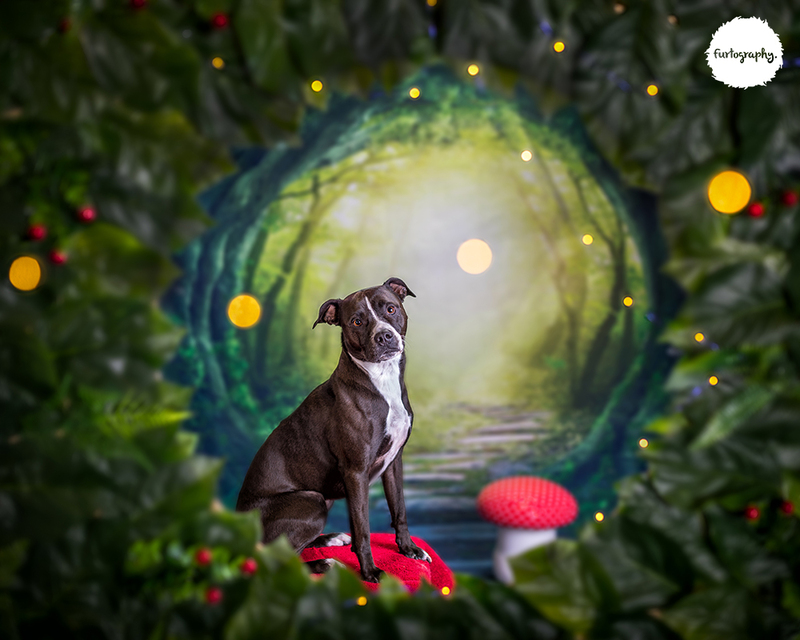 The session lasts 15 minutes, a perfect amount of time to get a shot of your pets looking their best. Whether it is dogs, cats, pigs, ponies, reptiles, birds, you name it, all species are all welcome as long as you can get them through the door! If you have more than one pet, no problem, we’ll get a group shot of them dancing with the faeries together. The session fee is $50 and 100% of that will be donated to the charity of your choice. Step two: Choose your Charity. This year YOU nominate an animal related charity close to your heart and I’ll donate full session fee to them. (Please note nominations for the donation must be a registered charity). Stuck for charity ideas? Here’s a few to get you going… SPCA Canterbury, K9 Rescue and Retirement, Cat Rescue Christchurch, Greyhounds as Pets, Dogwatch Sanctuary Trust, Cat’s Protection League, Christchurch Bull Breeds Rescue Trust, Cat Help Charitable Trust. There are many, many more to choose from too. Step three: Choose your package. 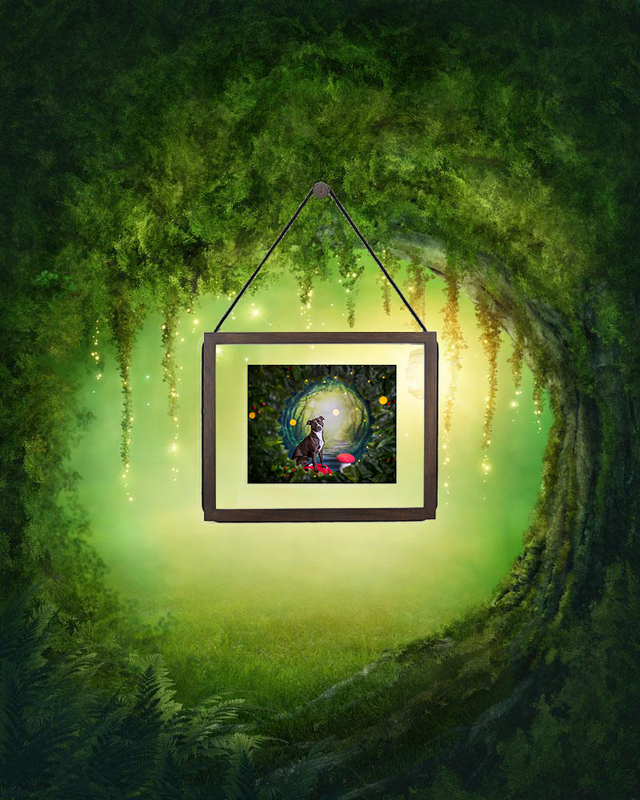 The Enchanted packages all include an EXCLUSIVE Enchanted Floating Frame, unavailable outside of these sessions, so you can take home a little bit of magic. It’s a beautiful dark wood frame measuring 11x14 inches with an 8x10 inch image magically suspended inside. Check out the reversible version in the Faerie Package that displays two different fine art prints of your pet back to back giving you the chance to change your look just by flipping it over! Packages start at $199 and all have great savings on the regular pricing exclusively for this event. 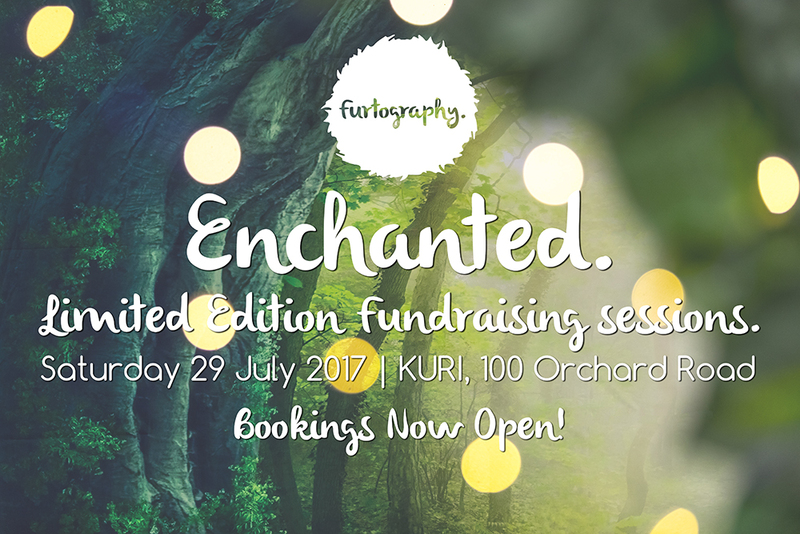 This years fundraising sessions will be held at KURI, 100 Orchard Road, Christchurch on Saturday 29th July from 10am – 4pm. Bookings are essential as spaces are strictly limited. Please complete the contact form in the links to the packages above, or call me on 021 042 1217 to make a booking. It’s so stunning! Thank you for sharing! 29th July, I’ll remember the day.